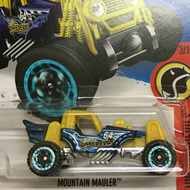 38/250 is a 2016 Treasure Hunt and 3/10 in the Super Chromes series. 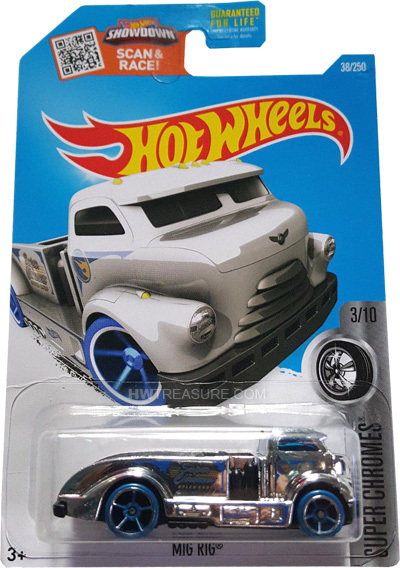 The chrome truck sports blue & yellow graphics, “Super Chromes”, and the low production symbol on the sides. 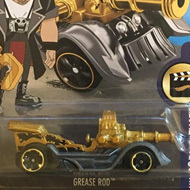 It has blue tinted windows, a chrome interior, blue Open-Hole 5-Spoke wheels, and a black plastic Malaysia base. The Mig Rig made its debut in the 2013 HW Racing series. It is a unique design of a retro style truck with a V8 engine behind the cab.